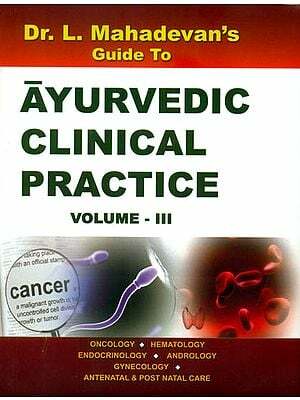 Every graduate of integrated medicine is always asked a question- "Is there anything in Ayurveda as regards Gynecology? A short and simple answer that I Spontaneously give is –“Yes, a lot!" But the answer neither satisfies myself nor the person who asks the question for obvious reasons. A modern medical person likes to know the approach of ancient authors regarding the gynecological concepts In terms of modem science. 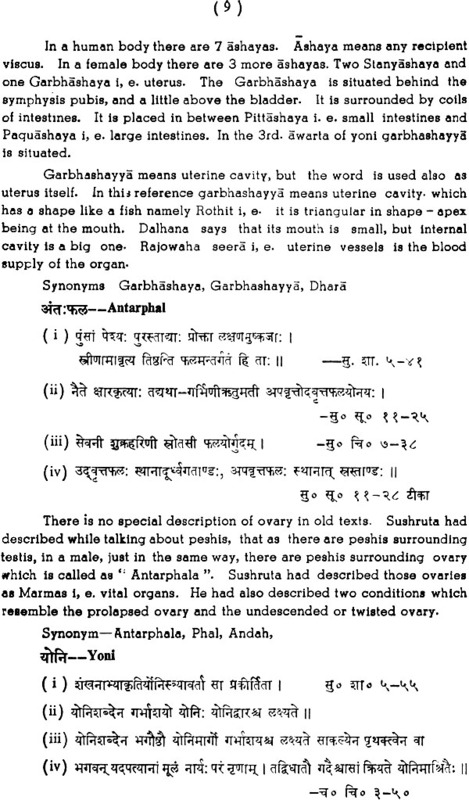 No doubt, ancient authorities also dealt: his subject of gynaecology and obstetrics to a great extent, however their method of approach to this subject is totally different as compared to the modern approach. 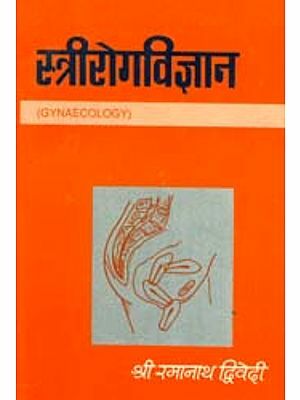 For a correlation, it would be necessary to orient the material of gynaecology from old texts in a systematic manner with proper grouping and explainations, adopting more or less the standard method of presentation, as is found in modern text books of Gynaecology. 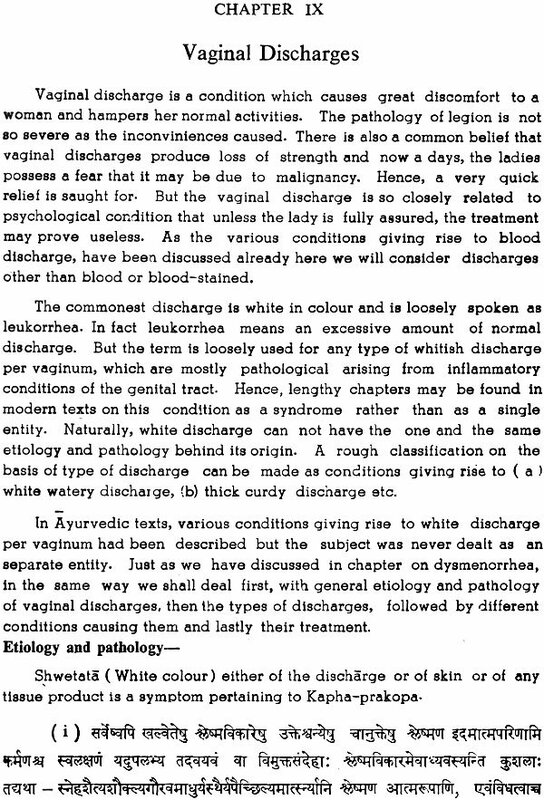 Considering this very fact, I have made an humble effort to present the subject of Gynaecology. Initially, I was faced with the problem of collection of the vast scattered material on the subject, in a systematic way from various Samhitas. 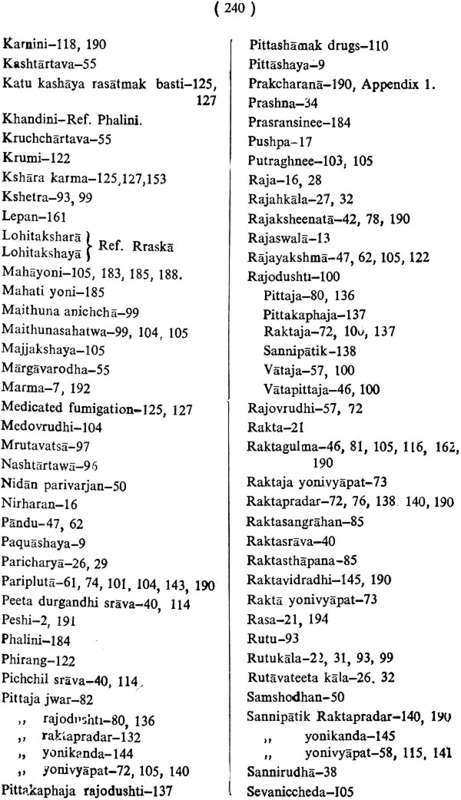 While including this in the book, I have avoided the repeatation and quoted the Sutra of orginal authority only, at the same time mentioning the cross references In other Samhitas. This would naturally help the scholar to study the subject and appreciate its evolution. 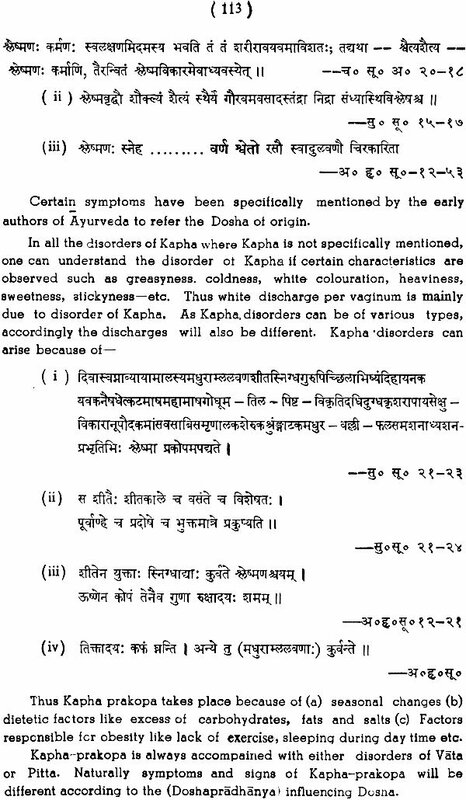 It would also help in understanding the background of various Samhitas. 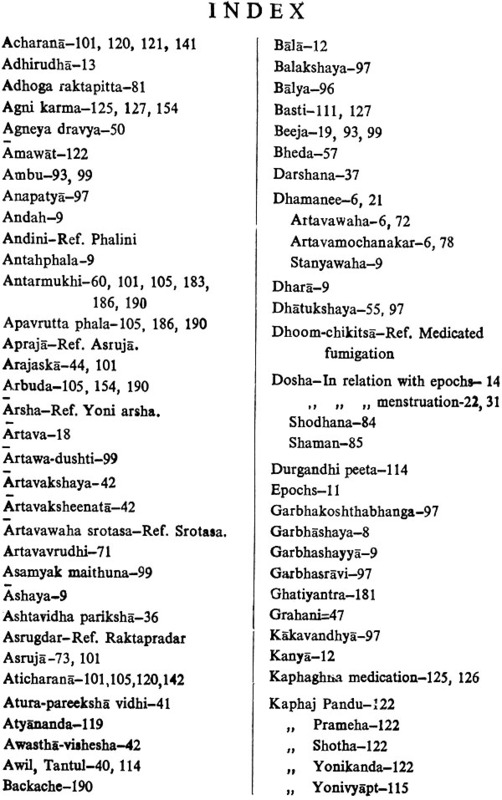 If a Sutra is given in the same form by Sushruta, Vagabhata, Yogaratnakara, Bhavamishra, Madhava and others, I have quoted the Sutra of Sushruta and mentioned the references of other authors. 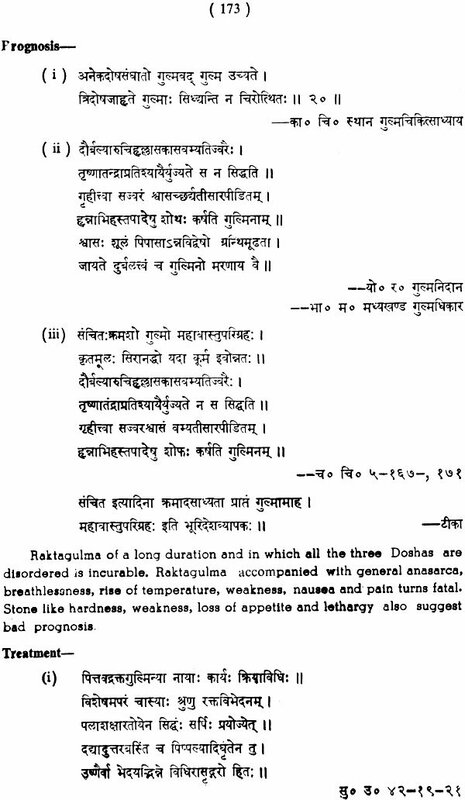 As present work is mainly focused on giving the concept of the disease in a concised form as is mentioned in texts, I have avoided mentioning the English translation of all the Sutras incorporated in the book. The inclusion of all the Sutras would have added only repeatation of the fact, giving a scope for some confusion in the mind of readers. To avoid this, I have given a summarised explanation of the whole collection, maintaining the continuity of the subject under consideration. This method leaves a scope for some interested scholars on this subject, to dive into the treasures of the original work to seek more jewels in the light of approach mentioned in this book. While dealing with a specialised subject, it is presumed that the reader is well-versed in the fundamentals of medical science and repeatation of basic facts is avoided. 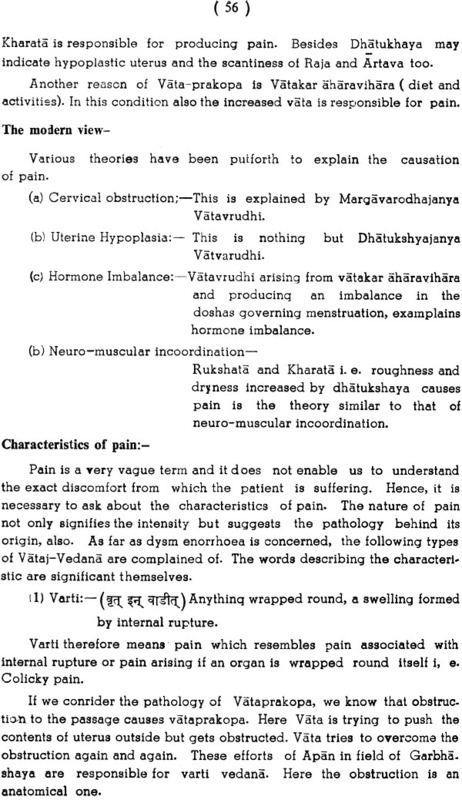 This method was prevalant in Ayurvedic text books also. When one surveys the subject of Stree-roga, one finds that the subject is dealt with assumption that the student is acquainted with the basic concepts of Tridosha sidhanta, for his understanding of patho- physiology of the disease and Rasa-guns-veerya-vipaka-sidhanta for understanding the principle on which the treatment by medicines has been suggested. 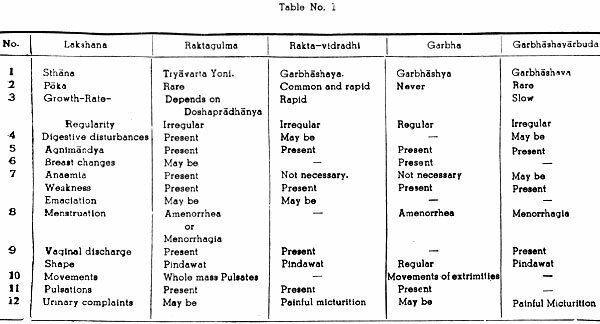 I have made an attempt to analyse the Patho- physiological concept in terms of Tridosha, expanding the subject for a better understanding of a student and physician alike. The expansion has been done taking necessary help of the basic knowledge from Nidana-Chikitsa etc. At certain places, the explainations may appear to be hypothetical one, e. g. Role of Doshas in relation with menstrual cycle, Etiology of dysmenorrheal, Pathology of inflammation etc. 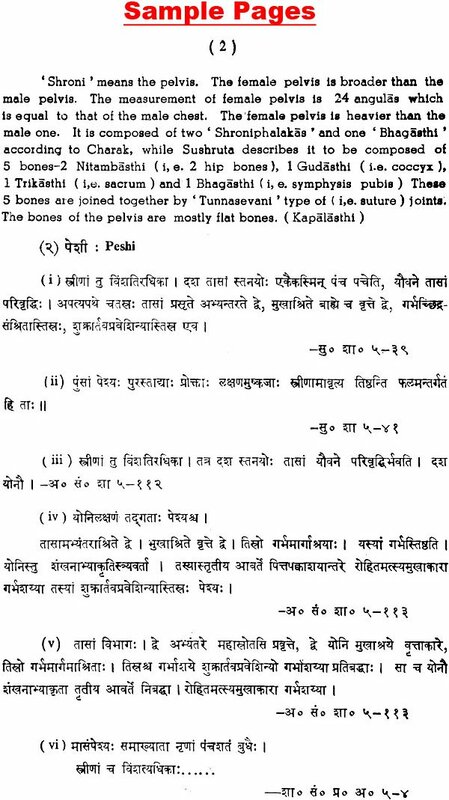 In fact, these explanations are nothing but the application of basic principles of Ayurveda to the special subject of Stree-roga (i.e. 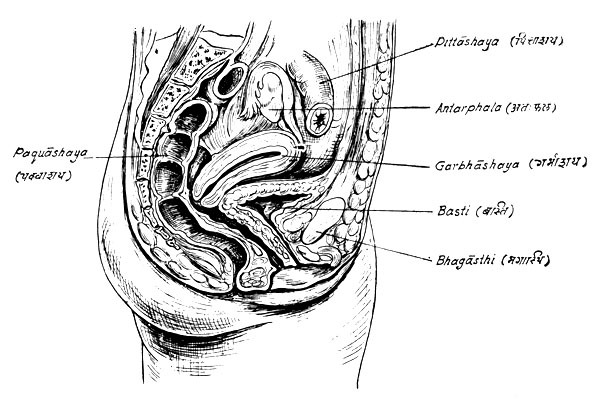 Gynaecology). There can be no two opinions on the ideal methodology of research In Ayurveda. Most of the leading authorities believe and stress on the fact that more stress should be laid on the Fundamental Research than on merely assesing the effect of any single drug. 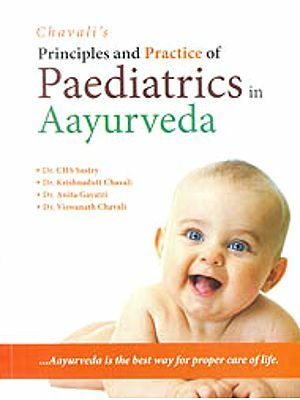 The science of Ayurveda will only be enriched if more attention to this fact is given by various research workers who would then only do a proper justification to Ayurveda. 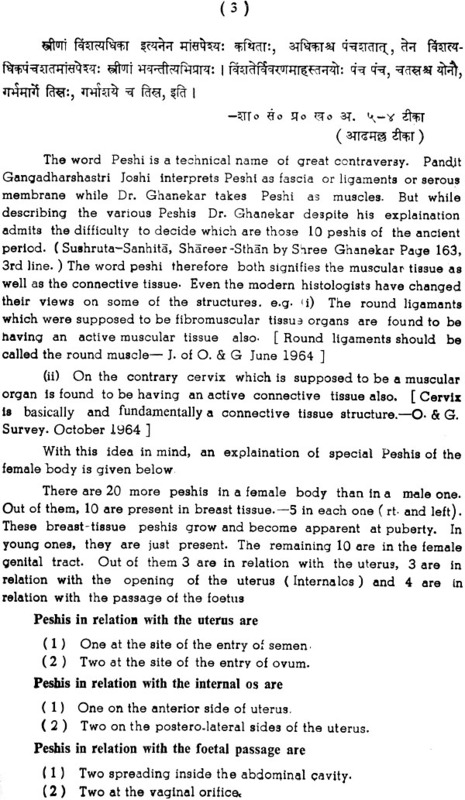 With this view in mind, I have made an attempt to simplify and analyse the basis of various gynaecological conditions, and I am confident, that this would be of a great help to a student desirous to undertake research in the branch, to understand and proceed in his clinical or experimental approach. My role in presenting this work is an outcome of many discussions held with the authorities on this subject. Most of them, have been my teachers (at my parent insitution, Tilak Ayurved Mahavidyalaya, Poona) and my colleagues (at the Post Graduate institute, Banaras Hindu University) who have obliged me from time to time by explaining me the interpretations of various topics and solving my difficulties. by Dr. Kumud S. Nagral.